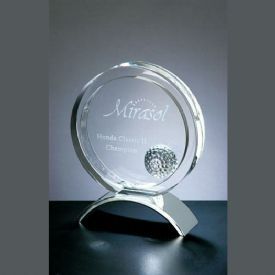 Product Description: Golfers Achievement Award that sits on a silver metal base with an inset golf ball. Plenty of room for your text and logo. Size: 7-1/4"H x 6"W x 2"D.
engrave area: 5"H x 5"W.